This development was unusual in that there were three aspects in particular that effected the construction. 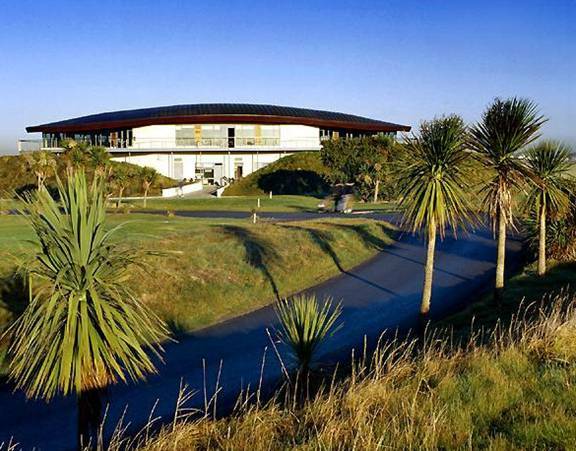 The first was that a new club house had to be construction for St .Anne’s Golf Club which is situated within the nature reserve and environmentally sensitive area of The Bull Island in Dublin Bay. As part of this it was a requirement of the planning that the new club house did not impose itself visually on the surrounding area. The second was that the local flora and fauna in the area must not be disrupted to any degree. This immediately restricted the area for the development to within close proximity of the existing club house and car park area. On top of all this it was a requirement of the client that the course be kept open for use at all times by the existing members without limiting existing facilities. Special attention was given to the design of the building. Along with the use of natural materials, and construction of high berms that were planted with approved grasses around the building, it was ensured that the building blended fully within the nature reserve. The new club house was constructed in close proximity to the existing club house in order to maximise full usage of the restricted site area. Special attention was given to the installation of a protective hoarding around the site to ensure the safety of the members during the construction period. Car parking in the area during the construction period was strictly monitored to ensure that this did not overspill onto adjoining areas. A restricted regime was imposed on the contractor limiting the area of the site for construction and storage along with controlling the delivery and removal of materials and rubbish in order to avoid undue damage to the local flora and fauna. 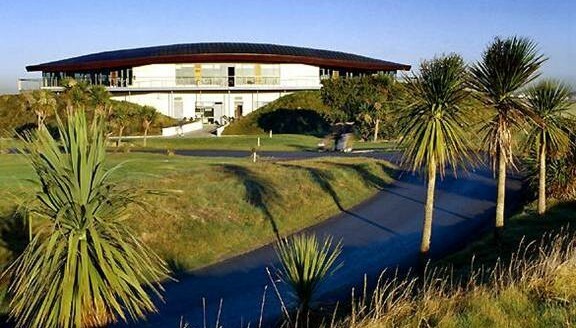 A Modern Clubhouse building was completed for St. Anne’s Golf Club, with no damage to the nature reserve. Local habitats were not disrupted and the development was completely successfully to the full satisfaction of all members. The club house blends into the local landscape in an environmental sensitive area to the extent that it is hardly perceptible from the local main road.